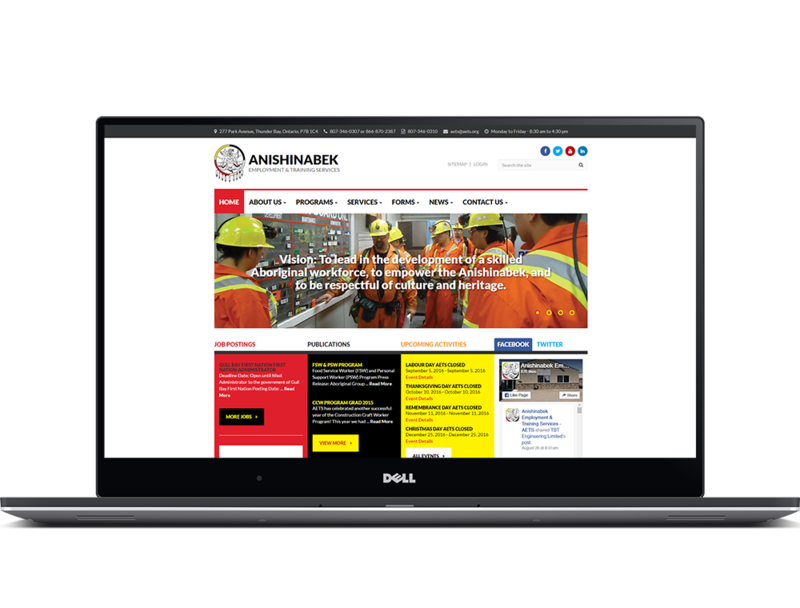 Anishinabek Employment & Training Services Website - Sencia Canada Ltd.
Anishinabek Employment works to empower the Anishinabek through development of a skilled Aboriginal workforce with respect to their culture and heritage. 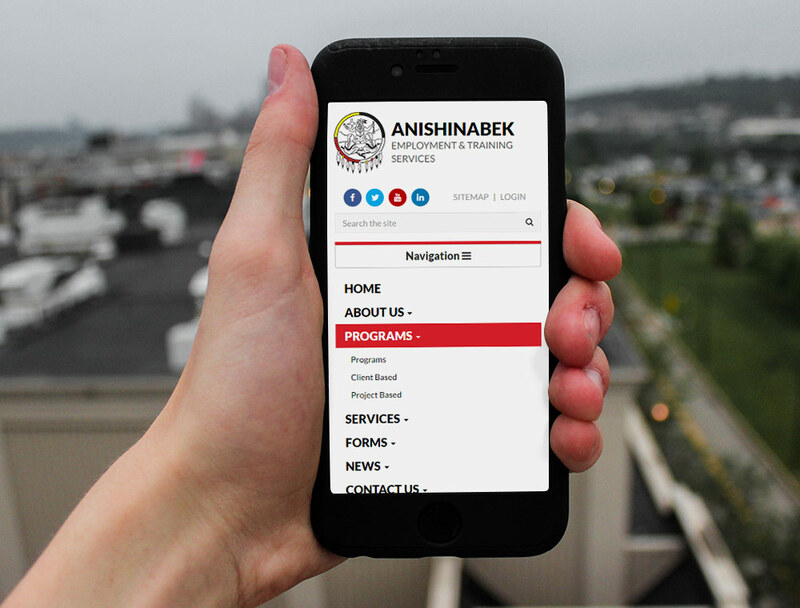 Anishinabek Employment Services (AETS) provides valuable employment and training services to several first nation communities throughout northern Ontario in the North Superior Region. They required a new design for their website that would be clean, visually appealing, easy to navigate and current. 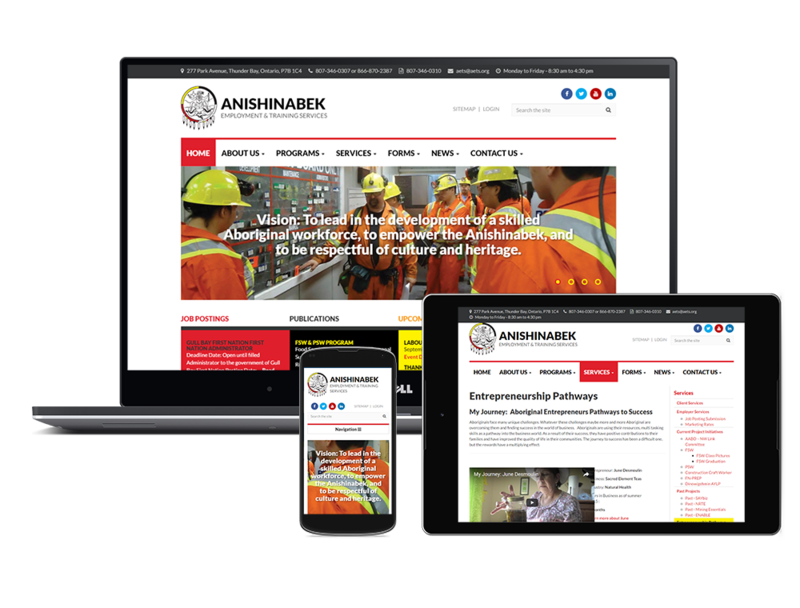 They also wanted select sections of their homepage to feed important information such as; job postings, publications and activities/workshops available to the first nation communities they serve. While AETS worked on revising the content alongside Firedog Communications, Sencia’s creative team carefully worked on designing a visually fluid user experience that would feature dynamic content, event and social feeds. A unique newsletter template was also designed for their quarterly employment & training newsletter powered by SIMS Newsletter Module. The module allows for them to preview and send their newsletters directly from the SIMS administration panel. AET’s website provides a hub of information for first nation communities of the North Superior Region to find information, job postings and other employment services. The most relevant information is available directly from their homepage, which feeds information from four main categories; jobs, publications, actives and social. Updating is a completely easy and fluid experience through use of templates, automated application forms and use of select SIMS modules. "On behalf of the AETS Board, it is with extreme pride that we are able to launch another two new training programs and also introduce our new enhanced Website to serve our Firt Nation Citizens."